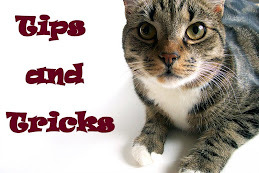 Caring for your pet through professional excellence and the most modern equipment. Nicole Wallner and David Román are two devoted profesionals that grew up in Ibiza. 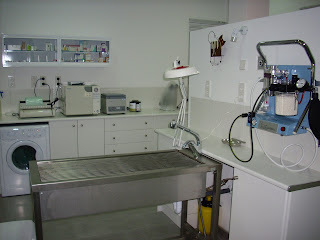 After graduating as veterinary surgeons in Valencia they spent 3 years in highly recognized veterinary clinics and hospitals in Palma de Mallorca. Then they decided to complete their professional developement and experience in the UK where they spent almost 2 years, working in busy practices and attending to numerous post diplomate courses. 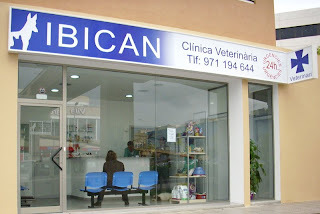 Currently they have decided to embark on a new and exciting enterprise, IBICAN, a veterinary surgery aimed to offer the best possible care for your pet. The practice is conveniently located and enjoys a friendly atmosphere making your visit a pleasant experience. Av de la Paz / Can Misses rondabout, Ibiza, Balearic Islands, Spain. Here we post the details, pictures, etc of all those that have gone missing recently in the island.